You need to start researching for this paper now. But that can be done tomorrow. 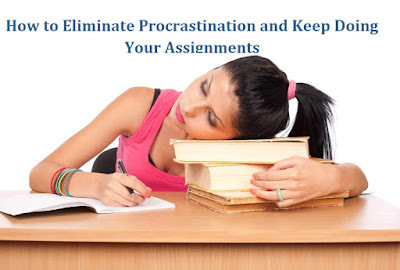 You have started planning to proofread the essay on next day as well. And there's really no point in even starting the project mid-term group until you hear back from someone in your study group who is responsible for what. Do you find this similar to the way you mentally plan your time? Then you may have a problem with procrastination. Although this is a fairly common problem, treating it as a casual issue can lead to more serious problems later on. Hurrying through the pending essay or keeping something for the last minute of a group project impacts your candidature. Gaining reputation as a procrastinator means not being the first choice when it comes to study groups and school projects. Maintaining a list of written tasks may seem a bit archaic at first, but there is pure science behind the practice. The researchers found the brain works different when writing things down by hand and this can lead to better thinking and problem solving. If you have many small tasks that never seem to be done, reflect over what would happen if you just do not do them. Cut them to make more time for the things you love and your school/college work routine. Set your timer and go to serious work for 10 minutes. Once you have made some progress, stop and start over after few minutes. This way you can eliminate the boredom of doing the same job. Take a look at your list and define tasks or tasks that must be done first. Attack on the task at first you are dreading most. To help you get over the lethargy these tricks are simple yet effective. Each of these can be used by anyone to drive away procrastination and start to make progress.